UND researchers have an ambitious proposal to make the entire campus and nearby UND-owned Ray Richards Golf Course an autonomous urban test bed and education/training range, basically a “please fly zone,” or island where UAS and other autonomous systems are free to integrate with society in quasi-urban settings. Photo by Shawna Schill/UND Today. Mark Askelson has a dream for the UND campus that’s right out of science-fiction. 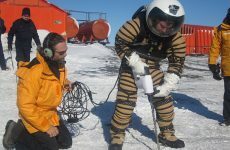 Every day, however, the dream becomes more science than fiction, and people like Askelson and other UND researchers have everything to do with it. He sees a day when a simple task such as delivering campus mail is completed by a fleet of drones buzzing up and down University Avenue like a flying mechanical postal service. “To me, it’s about our vision as a University and a research institution to be a leader in autonomous systems,” said Askelson, head of the UND-based Research Institute for Autonomous Systems (RIAS). Askelson, working with colleagues like Paul Snyder, a leader in unmanned aircraft systems (UAS) education and training at UND, has an ambitious proposal to make the UND campus and nearby Ray Richards Golf Course an autonomous urban test bed and education/training range, respectively. 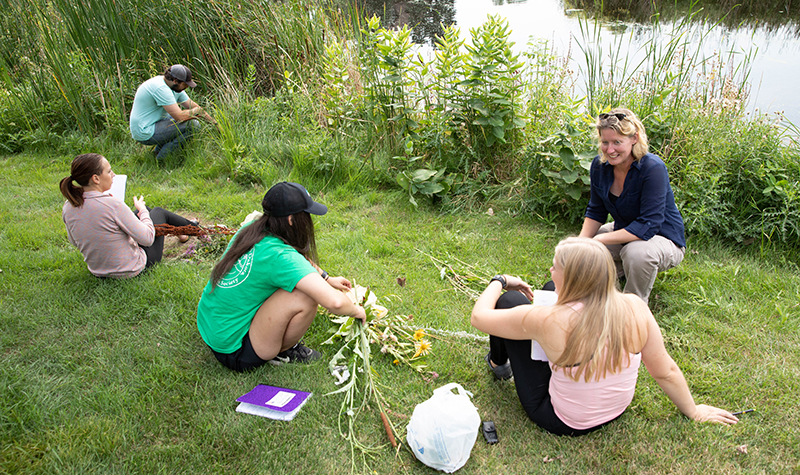 The former would turn the UND campus into a “please fly zone,” an island where UAS and other autonomous systems are free to integrate with society in a quasi-urban setting. The latter, at the golf course, would provide much needed educational and training space for UND UAS students to practice operating small UAS and other autonomous platforms. It would also let UND faculty researchers experiment and stay on the cutting edge of autonomous trends. And it would give private industry and other partners a place to conduct research and training on their own designs and concepts. Askelson, who got his start in UAS as an atmospheric scientist with a knack for radar, helped innovate detect-and-avoid capabilities used in modern unmanned systems technologies. 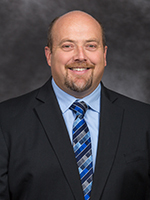 Today, he is executive director of UND’s Research Institute for Autonomous Systems. He envisions a day soon when drones are buzzing up and down University Avenue delivering campus mail at UND. UND President Mark Kennedy says the idea is central to UND’s Grand Challenge initiative to drive world-changing developments in autonomous systems in a way that reflects UND’s values. For Askelson it’s also about enriching people’s lives through autonomy. Askelson got his start in UAS as an atmospheric scientist with a knack for radar. His understanding of weather radar, and working with UND UAS pioneers such as Ben Trapnell and Doug Marshall, has led to huge strides in detect-and-avoid capabilities in autonomous systems, which caught the attention of the federal government. 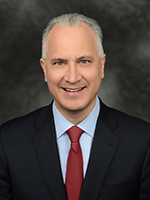 Askelson was named interim executive director of RIAS in 2017. So what does it take to establish the UND campus as the go-to place for unmanned systems integration, education, research and training? Askelson says there are no formal hoops to jump through or authorizations to seek. 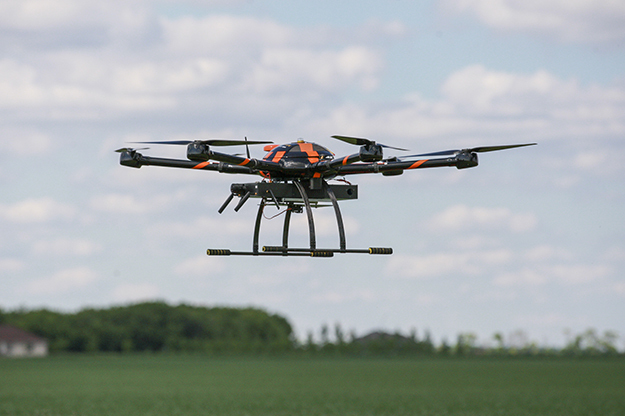 Askelson said the Northern Plains UAS Test Site, with UND as a partner, has submitted a promising research proposal to NASA, which could become one of the autonomous urban test bed’s first big clients. UND UAS researchers also already have a powerful ally in the U.S. Department of Homeland Security (DHS) to collaborate on new advances in cyber security. In fact, UND recently attended a DHS cyber security symposium with the North Dakota National Guard on the vast training fields of Camp Grafton near Devils Lake, N.D.
Askelson said, if unmanned systems integration activities prove successful on campus, he envisions a time when the test bed expands. “This is something we hope will grow to become a statewide activity,” he said. The autonomous ecosystem in which UND exists – alongside the UAS mission of the Grand Forks Air Force Base and the adjacent Grand Sky drone business park and nearby FAA Northern Plains UAS Test Site – makes it a logical spot to begin the inevitable mixing of autonomous systems with people. 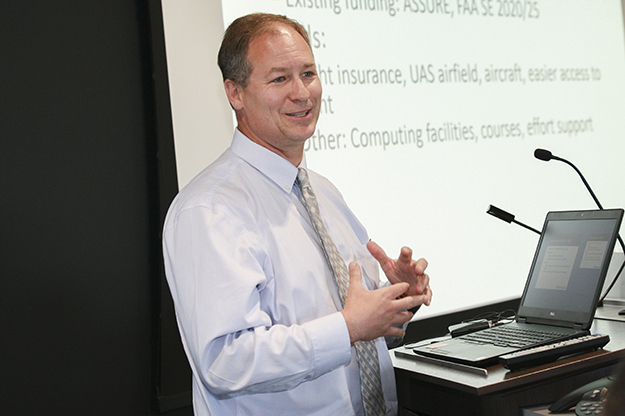 Snyder, who got his start with manned aircraft but has quickly become one of the region’s preeminent authorities on autonomous systems, says the biggest impact could be in student recruitment. UND also wants to make the campus a hub in the surging world of collegiate drone competitions, such as racing and innovations in cyber security. Officials hope the new golf course test range and several large indoor facilities in the area, on and off campus, might be just the draw to make such competitions a fixture at UND. 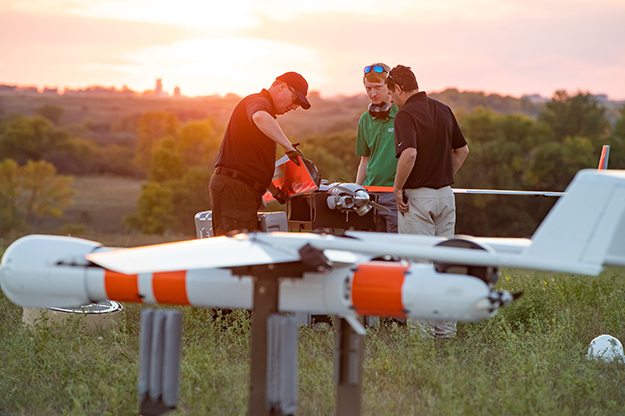 A side benefit of all of the new unmanned activity on and around UND, from UAS and autonomous systems competitions to the onset of new public-private research partnerships to the establishment of new businesses in Grand Forks, is economic impact. UND UAS researchers say it won’t be long before drones, such as this Hexa-copter-6 or even larger platforms, will be flying over people on a fairly regular basis. Photo by Jackie Lorentz/UND Today. Askelson says it won’t be long before drones will be flying over people on a fairly regular basis. He’d like to see UND have a say in how that looks. Askelson and Snyder know there are challenges ahead as society comes to grips with unknowns associated with unmanned systems integration. Snyder took it a step further, saying that UND, with all its tools and expertise, is the perfect place to engage in such profound changes.